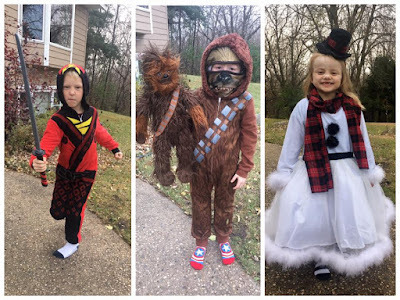 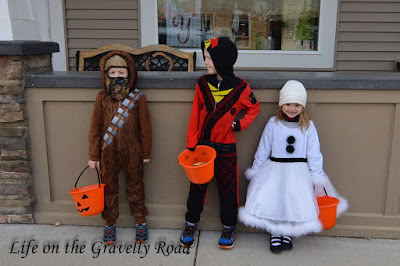 Happy Halloween from a Lego Ninjago Ninja, a snow-girl, and Chewbacca. 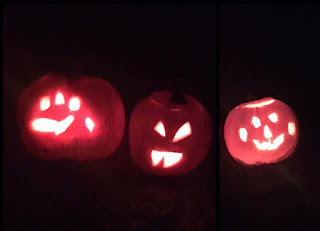 We went to a local Halloween party the weekend before with pumpkin carving and cookie decorating. 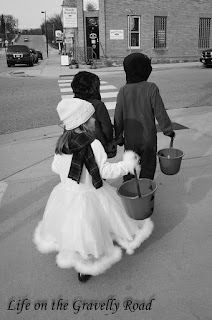 Then the kids enjoyed trick-or-treating at the downtown businesses on Halloween. Just a little Halloween fun from Life on the Gravelly Road.